Bud Fox is a Wall Street stockbroker in early 1980′s New York with a strong desire to get to the top. Working for his firm during the day, he spends his spare time working an on angle with the high-powered, extremely successful (but ruthless and greedy) broker Gordon Gekko. Fox finally meets with Gekko, who takes the youth under his wing and explains his philosophy that “Greed is Good”. 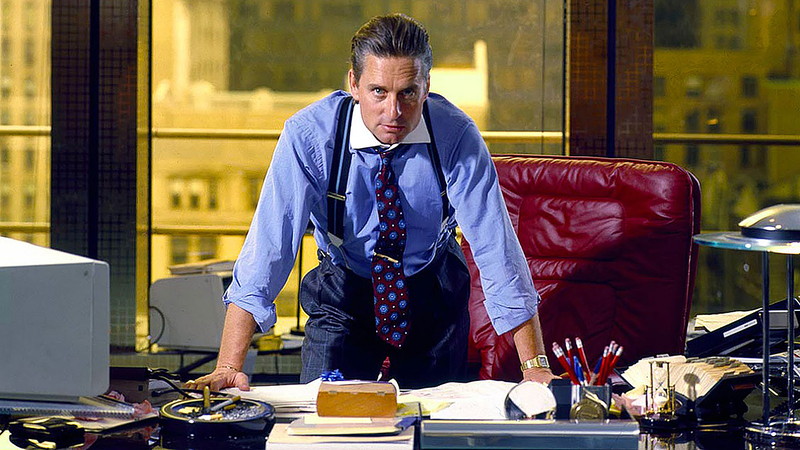 Taking the advice and working closely with Gekko, Fox soon finds himself swept into a world of “yuppies”, shady business deals, the “good life”, fast money, and fast women; something which is at odds with his family including his estranged father and the blue-collared way Fox was brought up.